On Tuesday 6th December, STL Partners met with 17 executives from telecoms operators in SE Asia, including Singtel, Starhub, M1, Telekom Indonesia, Axiata, Bridge Alliance and Tata Communications. The group was a fairly even mix of C-Level, SVP/VP, and Strategy / ‘Heads of Digital’ roles. The session was conducted under clear and explicit anti-trust guidelines, and had the objective to review and explore learnings in the strategic and operational transformation of telecoms business models. One of STL Partners’ global observations is that all operators have different goals in the pursuit of transformation. 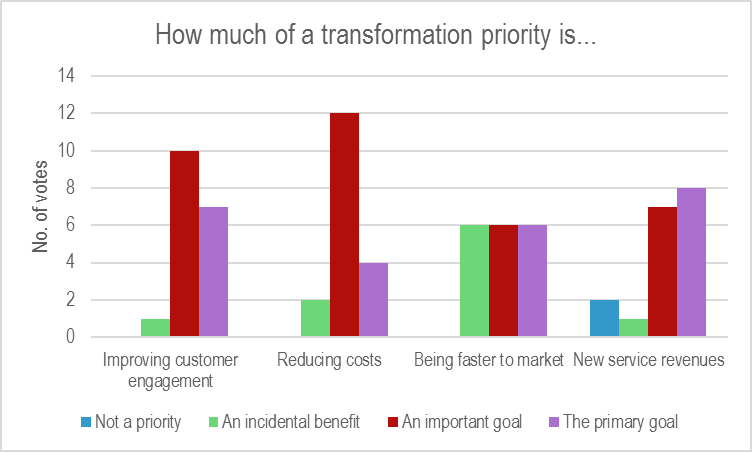 This was also true with the group in Singapore, as shown by the following chart of a vote on the priorities assigned to different transformation objectives. 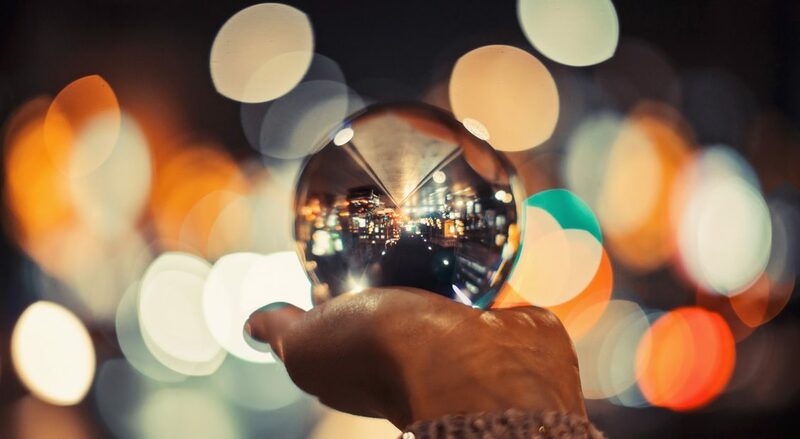 What is the outlook for growth for telcos? STL Partners shared findings from its recent research report Which operator growth strategies will remain viable in 2017 and beyond? 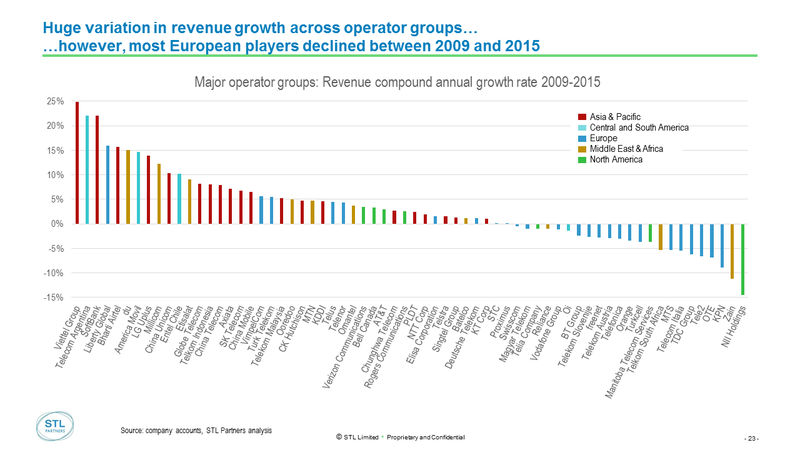 that examined the growth performance of 68 operator groups globally over the last seven years. The overall picture presented was that most telcos had enjoyed a period of good growth in this time, though latterly growth rates have slowed to an average of 2% globally. Many markets, especially in Europe, are now in decline. Voice and messaging revenues have been eroded by substitution from Internet based applications, and data competition has by and large brought strong growth in usage volumes, but not enough to make up for the declines in voice and messaging. Can data growth ‘save the day’? 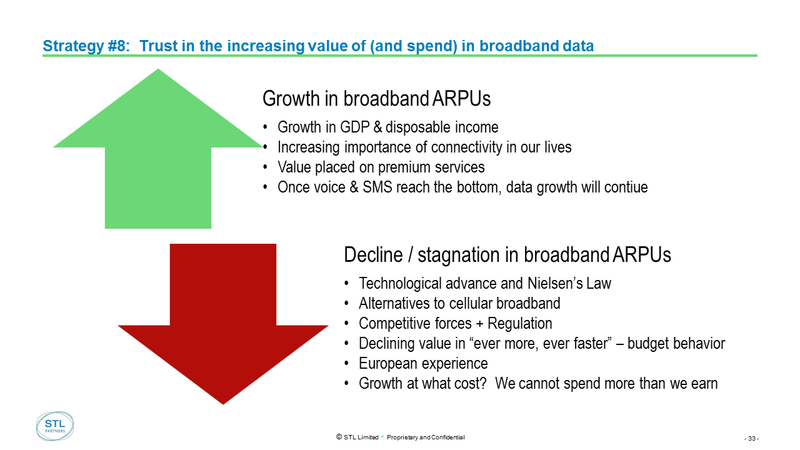 A question raised in Europe and discussed again in Asia when this analysis was presented, is whether broadband data sales can offset the declines in voice and messaging revenues. The arguments for and against this are summarised in Figure 3. Conclusion: how to change model and culture together? Figure 14 – Which area of transformation has the greatest value, and what requires the greatest effort? Figure 15 – A new business ‘stack’ for telcos?